DE-CIX, the world’s leading Internet Exchange (IX) operator with the fastest-growing IX in the New York metro area, has exceeded a key milestone of 200 unique Autonomous System Number (ASN) networks taking the number one position as the largest Carrier and Data Center-Neutral Internet Exchange in New York. Additional solutions such as GlobePEER Remote enables extended reach to over 1,000 global networks through a single connection. 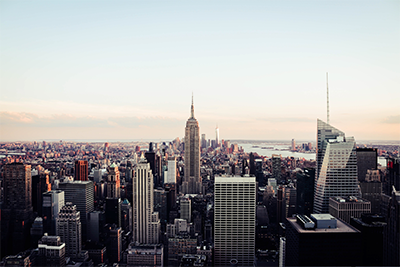 “Looking forward to continued growth - together with our partners and customers - in making New York the premier interconnection location in North America". 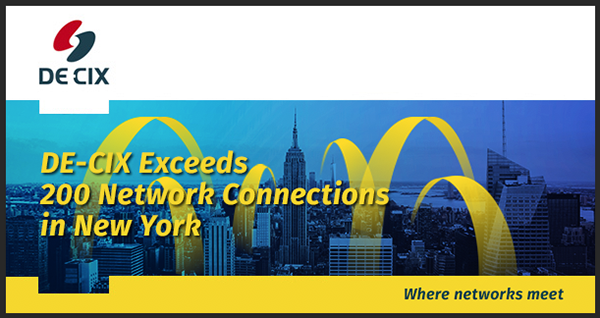 To learn more about DE-CIX North America and its New York and Dallas Internet Exchange platforms, visit https://www.de-cix.net/en/locations/united-states.